Have you ever taken your dog or cat to the vet because they just weren’t acting right? It is always a good idea to err on the side of caution but sometimes that can be expensive. Wouldn’t it be awesome to be able to check for problems without a big vet bill? That is the genius behind Petnostics. The best part is that testing is easier than loading your pet in the car and driving to your veterinary clinic. At around $10.00 per test, it is much kinder to the pocketbook. As always, never hesitate to seek advice and medical attention from your veterinarian if you suspect a problem with your pet. 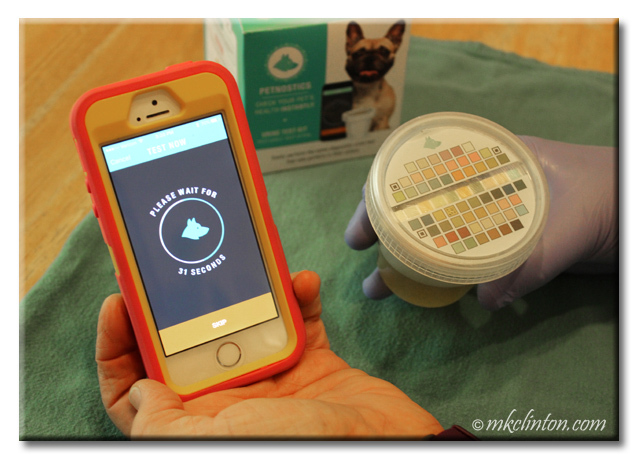 Petnostics is a terrific way to monitor your dog or cat’s health between visits. Download the free Petnostics app and set up a profile for your pet. Transfer urine to specimen cup and screw lid on securely. Open the app and follow the step-by-step instructions. First, flip cup upside down. The timer comes on for 60 seconds. Scan with iPhone for results. Align dog head on screen with the dog's head on the lid. *I scanned my test kit outside in the daylight on my patio. Scanning under artificial light can result in a different reading. *Petnostics is available for Android phones in BETA. 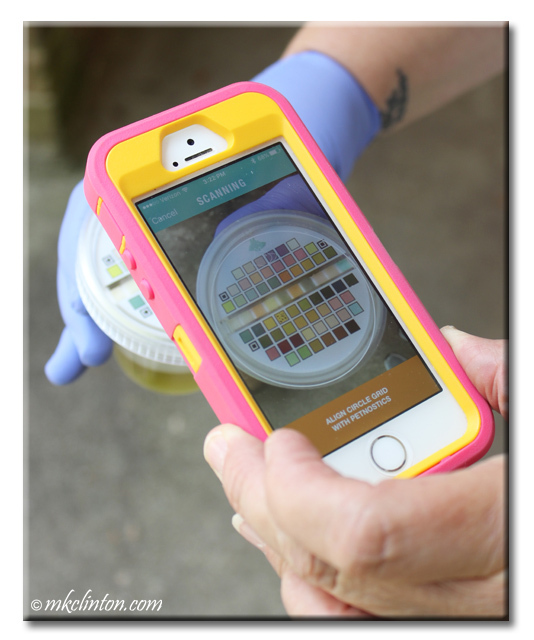 The app analyzes the test strips in seconds. *Our results were within normal ranges. 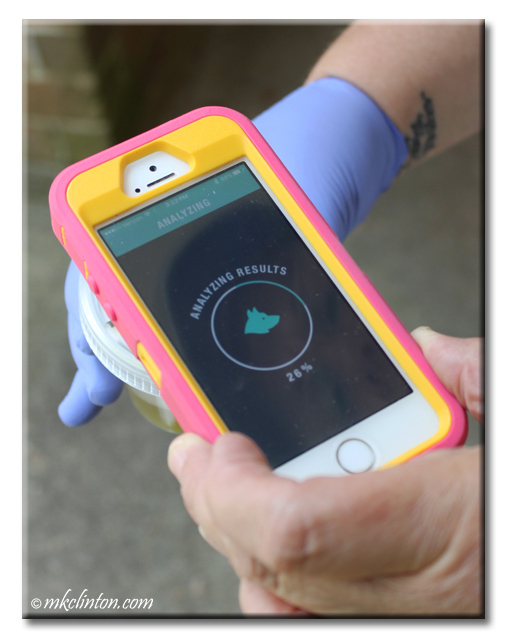 You can share your results with your vet and the app will store the date and time of your tests. This makes it handy to compare results over a period of time. 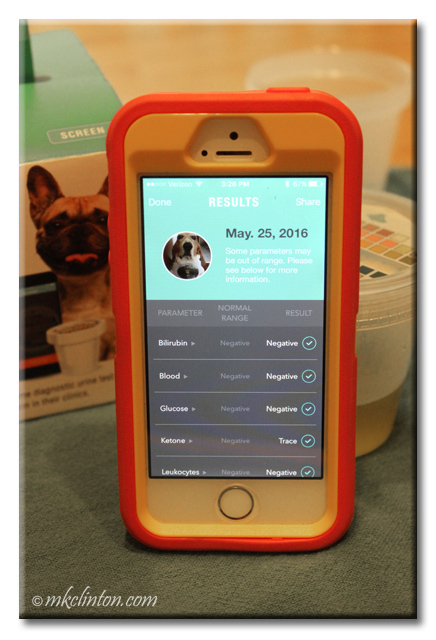 Stephen Chen founded Petnostics in February 2013 as a way to help pet parents keep tabs on their pet’s health between vet visits. He considers it a type of 'Check Engine' light for our pets. You may have seen him on Shark Tank episode 24 this spring. He landed two big sharks in Mr. Wonderful, Kevin O’Leary and the Queen of QVC, Lori Greiner. I laughed at one of the ‘Sharks’ comments that “People aren’t going to try to catch their dog’s urine.” People might not, but pet parents that love and consider their dog or cat as a member of our family would definitely do it. Let’s admit it; we have all done stranger things for our pet’s well-being. Petnostics is available online at a cost of $9.99 for 1 test kit or you can purchase them in bundles of 4 or 12 tests. 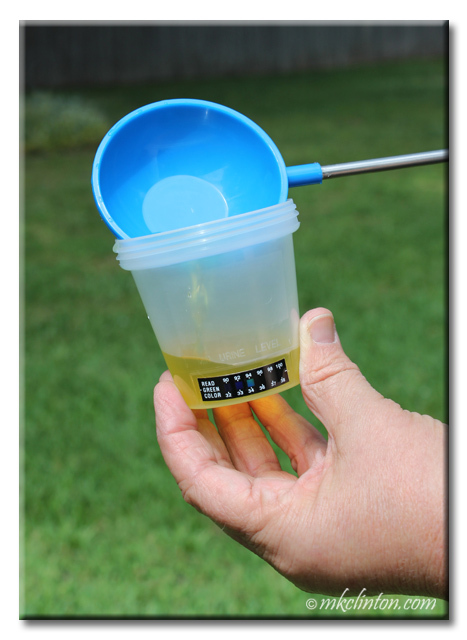 The expandable urine collector is $14.99 but I recommend it to make the collection easier. 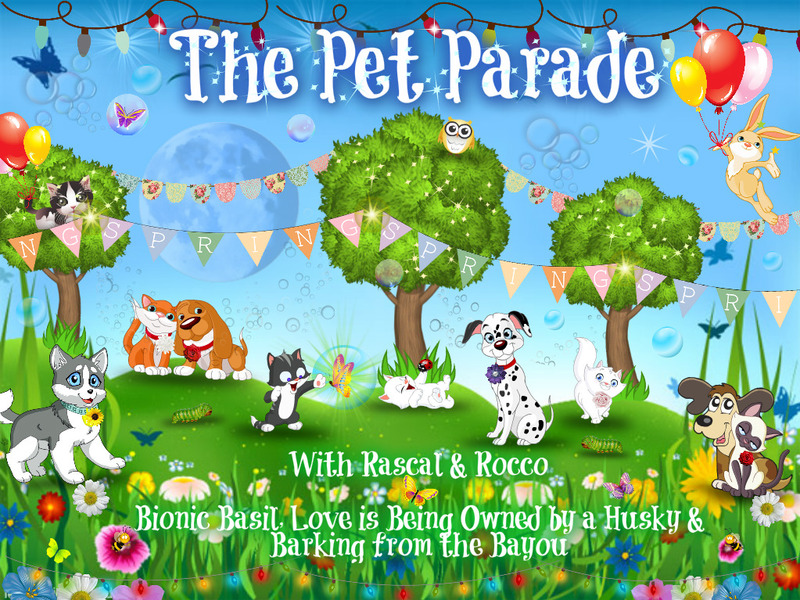 You can follow Petnostics on Facebook, Twitter, and Instagram. 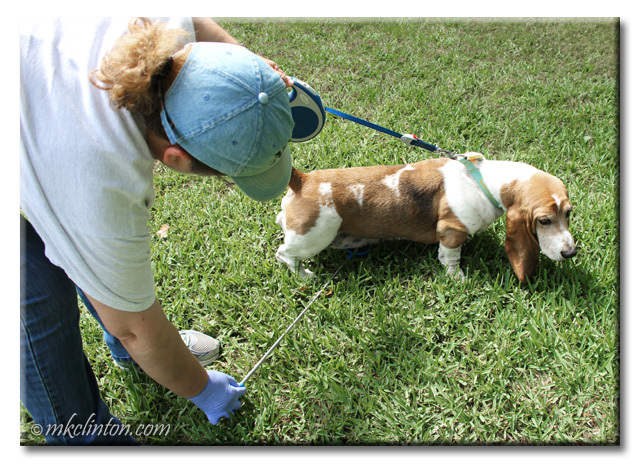 *Barking from the Bayou, LLC received two Petnostics test kits in exchange for an honest review. We only promote products that we feel would benefit our audience. Petnostics is not responsible for the contents of this article. What an excellent idea. I also like the urine collector. It can be hard to find just the right thing to complete that task. Well, how cool is that?!? Stealing Pee Mail should be ILLEGAL don't you think? WOW! It cost more than that to go to the vet! We need this! Although as an Android user, I might wait until it's not in Beta. I do wonder about the flash readings based on lighting, however... but it is an ingenious invention! Pretty interesting. Love the urine catching contraption! We get so many tests done once or twice a year, that usually covers things. We are on Android, so not sure if we would want to rely on a beta version just yet, but it is a cool way to get some quick answers. Yes, that is very interesting, except for collecting the pee part! I was reading through this post thinking, "did I see this on Shark Tank?" Keep scrolling: yes, yes I did. I would totally use this. I pay at least $80 for these tests at the Vet. I remember then talking about this product on the show, and thinking 'you're crazy. Of course I catch my dog's pee. How do you think I get the sample to the Vet?" This would be a lot less messy than the way I do it. I'd pay for just the scoop. Oh interesting. We have a similar kit but it's low-tech. You dip a strip in it. And wouldn't hiking legs make it more... difficult for collection? Mr. N squats AND hikes. I thought it might be, but Pierre hikes his leg and it was not a problem collecting his urine. I LOVE the user friendly diagnostics. Axactly what a phone app if for. Inspired stuff. Your wee collecting made us giggle! This is way cool! Does it work for cats as well? Oh, and the mom has collected our pee numerous times. Petnostics has a cat litter available for testing. Cool! We'll have to check it out. Wow, this is amazing! There have definitely been times where something seemed a bit off with one of our pets and I'm never quite sure what to do. A couple of times I have taken Ruby to the vet for this very reason and it turns out to be nothing. An at home test would be fantastic. Love that the app stores the results with the date, etc. This is so cool. Never heard of it. I totally get crazy when Cocoa is not acting like herself so this is a god alternative to a 75.00 office visit. Oh my gosh! What a cool thing! 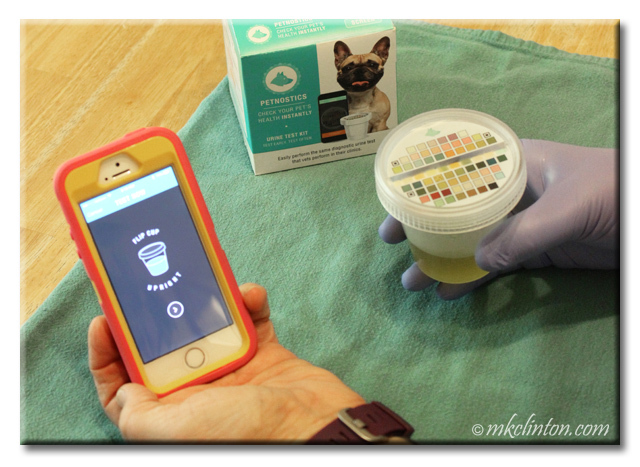 First, I always wondered HOW you collect your dog's urine! That gadget is pawsome! And, I agree! It would be so much easier than loading them up, especially the ones that go all nutso on me when they go to the vet. It would be great to check and see if there was actually something going on I needed to pursue further with the vet. Never heard of this before. Interesting. That is FABulous! Is there any info on how accurate they are? This would be a great tool if you are debating taking your doggie in or waiting a day or two! OMD! I honestly didn't see them on Shark Tank and haven't heard of them - I just liked all their channels and will be ordering this for our senior doxie. He's healthy and we do wellness exams twice a year but I'd love to check more than twice a year as liver disease is common and hard to detect. Thanks for posting about this. Wow, that is quite the invention. Ha ha, Cricket hikes HER leg (only forward and not back)!! There are no gender rules for dogs. This is really cool, and something I would love to try for Luke. Taking him to the vet is a trial, so being able to do something like this at home is a blessing and could provide us with a little more peace of mind. OMG! I don't even want to tell you what I recently paid for a bacterial infection test but let's just say it was tad bit more than $9.99! This is an awesome product! Wow, it's amazing how it worked with your phone, so so cool! This is a great idea for responsible pet owners! I would do this for my cat. It would be a great way to determine whether or not a vet appointment was really necessary. Sometimes pets do funny things and you just want to see how serious the problem is before your rush to an emergency vet in the middle of the night. This is very cool. I could definitely use one of these tests kits for Lita right now. The vet wants me to get urine from her at home to test for diabetes, but it has been hard to do that - Lita just gets upset when I shut her in a room with a litter box. Wow who knew such a thing was available!!! I saw this product on Shark Tank. I think I am one of the few who would rather take my dog to the vet for the tests. If the test did come up with something, I sure I would end up taking the dog into the vet anyway. So $10 for the test to still end up at the vet for me. . Just not something I would do. We have great vets who I trust very much! I got asked to review this product but I can't decide on it. You make it look so easy! I think Wynston would freak out that I'm trying to put something under him while he pees! But I really do like the concept of being able to do testing between vet visits. What a great idea. I'm not so sure I'd be able to capture urine from the girls. I'm a quick person to take the girls to the vet if they aren't acting right. That is so cool! And it's not expensive at all. Love it :) thanks for sharing! Now this is very cool! 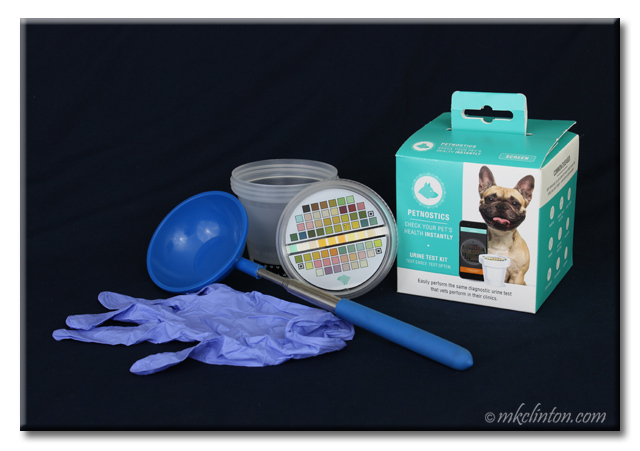 I work closely with my vets and do catch urine samples for my Huskies easily with a ladle. To be able to have this type of diagnostic to do the next step when it's not an emergency, but like you said, something is "off," is very appealing! Thanks so much for sharing! What a great idea! Do you know how reliable it is? That is just brilliant! Thanks for sharing a very cool and affordable way to keep our fur-kids in the peak of health! That is really cool and a nice piece of information for home owners so they know they need to get to the vet!